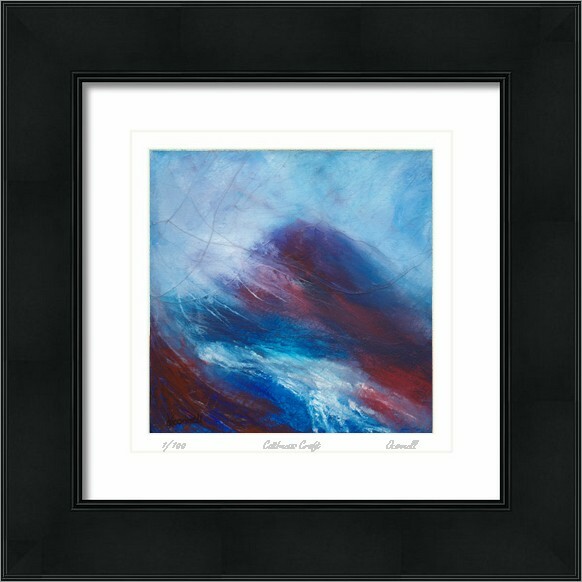 An original contemporary Scottish landscape painting inspired by the wet dreich weather of the west coast Scottish highlands. 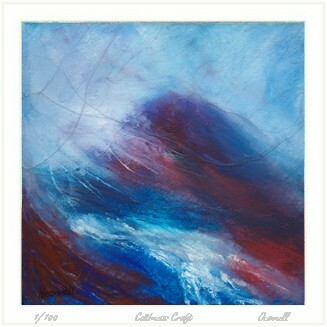 With driving horizontal rain, mist enshrouded mountains and hills and burns and rivers in spate. 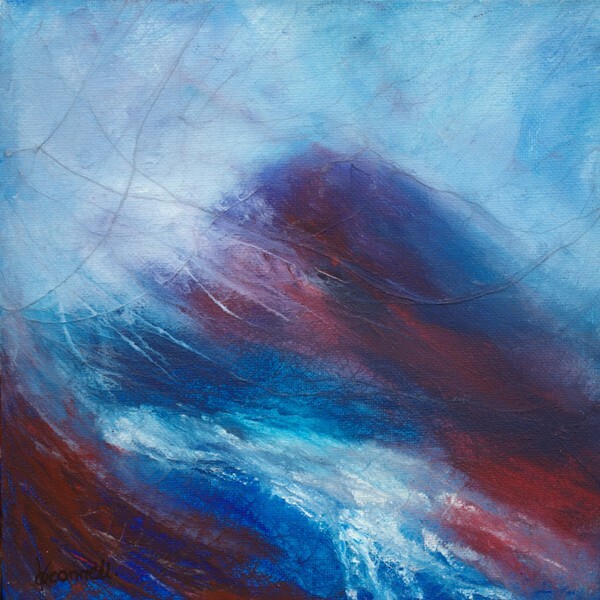 Painted in a semi abstract impressionist colourful style, in cool blues and red. An original acrylic art painting on 8 x 8 inch canvas on board in a plain simple contemporary white wood frrame ready to hang.